I have been collecting minerals since I was 6 years old, way back in the sixties. 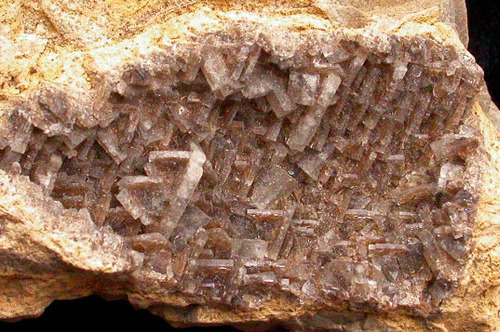 Mineralogy sparked my lifelong interest in science. I live in the North East of England, so my collecting has been mostly in Weardale. A highlight of my mineral interest was surviving several very hazardous collecting trips inside Heights Mine, long ago. My favourite location to visit is the Aeolian Islands, particularly Vulcano. I have also panned gold in Scotland, California and Australia. I have a science website, Lateral Science. 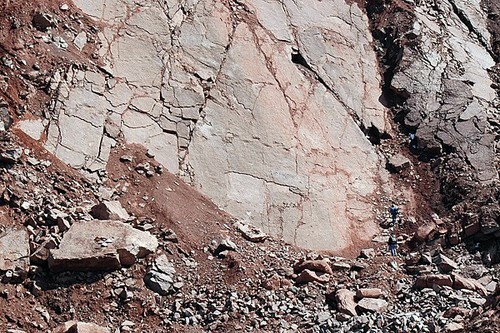 This page lists Roger's favourite minerals, localities and photos. All lists in alphabetical order. 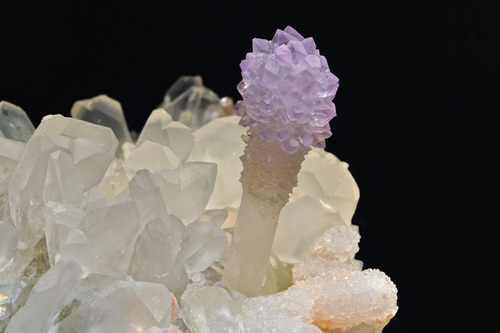 Amethyst "torch" on quartz matrix- photographed at the Munich 2011 mineral show. The torch is approximately 4.5 cm tall. People bottom right for scale. Roger Curry does not currently have any sponsored pages.